The “green revolution of the extraction industry has led in the past few years to a technological shift towards eco-extraction, which should include the societal responsibility of businesses in the process. 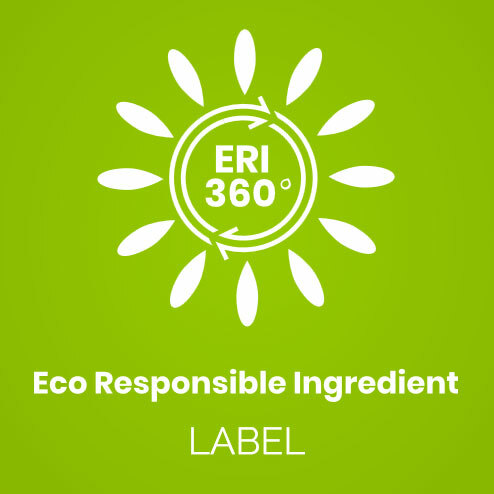 It is from this observation that the ERI 360° Label, for Eco Responsible Ingredient, is born. Defined by France Eco Extraction association with the help of PASS - Parfums Arômes Senteurs Saveurs, meaning Perfumes Flavours Fragrances & Scents - competitivity cluster and 13 French companies of the aromatic and cosmetics industries, ERI 360° Label enables the companies to evaluate their extracts’ processes in the supply chain as well as their sustainable and responsible practices. ERI 360° Label is an internal tool for companies to guide them and measure their performance (labeling), it also offers the possibility to obtain a certification via an external audit. Gattefossé has committed itself, along with the other members of the consortium - sharing the values of respect for people, environment and biodiversity - in defining this certification framework. ‘Why did we decide to participate? First and foremost because the objectives of the consortium were fully in line with our R&D approach and our aspirations for future progress. The ERI 360° Label has been created in a real proactive synergy with other partners and we are personally proud of this reliable and robust reference tool which is based on a transversal evaluation’, explains Sandrine Lopis-Presle, Research Engineer - R&D Plants Sourcing at Gattefossé.